When it comes to photographing weddings, I like to keep things natural & real. Capturing your day exactly how it unfolds, without much interfering from me. I'm there to capture everything. The overwhelmed smile as you see your other half walking down the aisle, the brush of your hands whilst making your vows, the tears of laughter during the speeches or the moment you kick off your heels to dance to Mr Brightside with your best friends... these are the moments that make your wedding real! I love to make a connection with all of my couples. It's really important for me to understand what makes you unique, how you fell in love, the things you like and dislike... it all helps me to give you a personal & relaxed experience. So, if you're thinking of getting in touch, please tell me EVERYTHING you can. All your ideas, thoughts, themes, colours... I'd love to hear it all. When it comes to photographing weddings, I like to keep things as natural as possible. Capturing the love & joy of your day exactly how it unfolds, without much interfering from me. I'm there to capture everything. From the overwhelmed smile as you see your partner walking down the aisle, the brush of your hands whilst making your vows, the ugly tears of laughter during the speeches to the moment you kick off your heels to dance to Mr Brightside with your besties... these are the real moments that make your wedding YOURS. 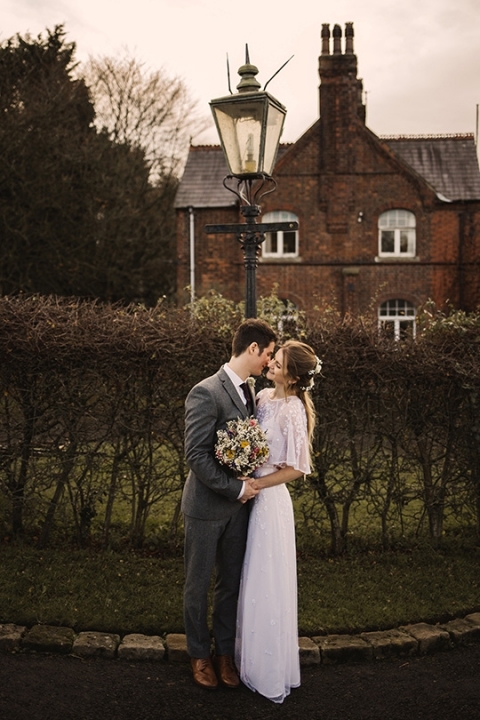 Natural & romantic wedding photography // North West UK.